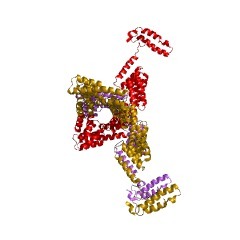 The hsp70 chaperone machine performs many diverse roles in the cell, including folding of nascent proteins, translocation of polypeptides across organelle membranes, coordinating responses to stress, and targeting selected proteins for degradation. 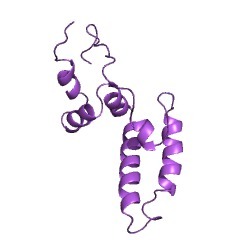 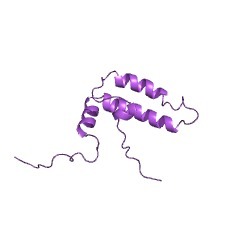 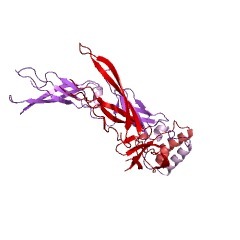 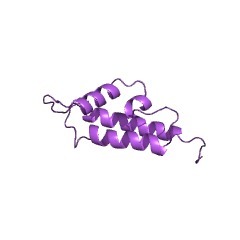 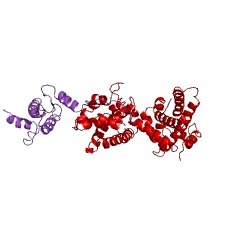 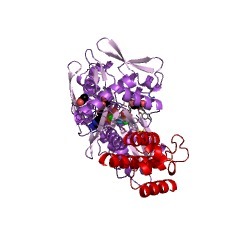 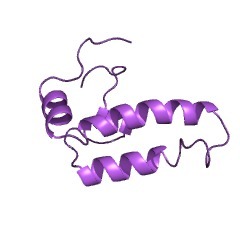 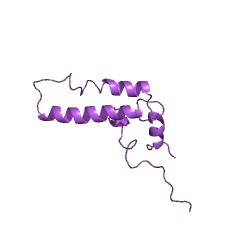 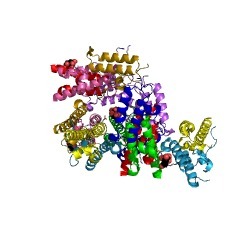 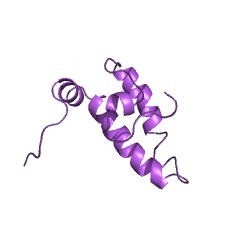 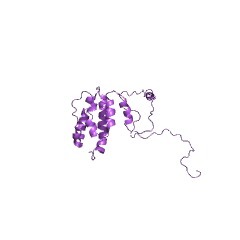 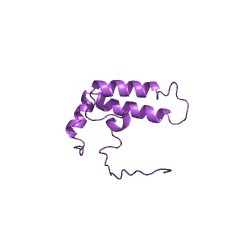 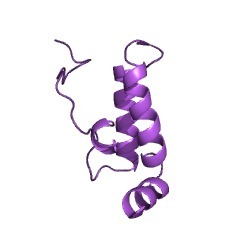 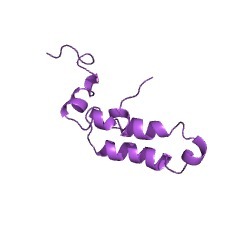 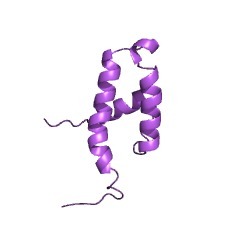 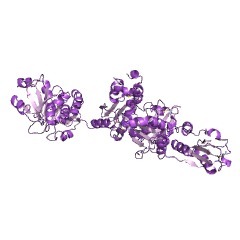 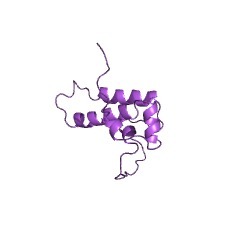 DnaJ is a member of the hsp40 family of molecular chaperones, which is also called the J-protein family, the members of which regulate the activity of hsp70s. 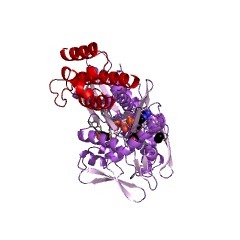 DnaJ (hsp40) binds to dnaK (hsp70) and stimulates its ATPase activity, generating the ADP-bound state of dnaK, which interacts stably with the polypeptide substrate [(PUBMED:11395418), (PUBMED:15170475)]. 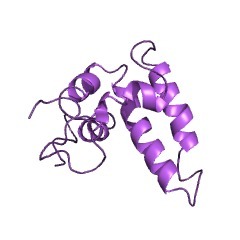 Structurally, the DnaJ protein consists of an N-terminal conserved domain (called 'J' domain) of about 70 amino acids, a glycine-rich region ('G' domain') of about 30 residues, a central domain containing four repeats of a CXXCXGXG motif ('CRR' domain) and a C-terminal region of 120 to 170 residues. 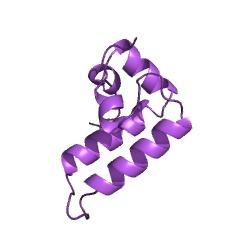 The structure of the J-domain has been solved [(PUBMED:8764403)]. 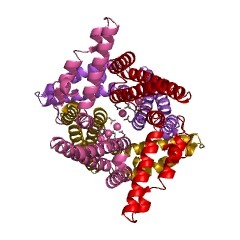 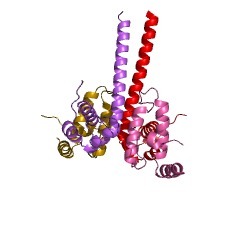 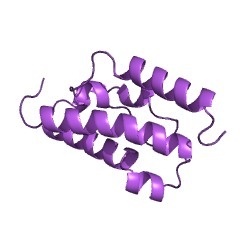 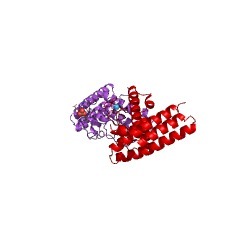 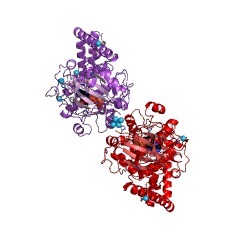 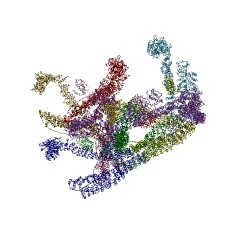 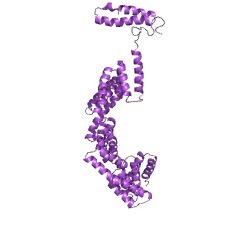 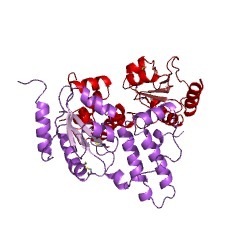 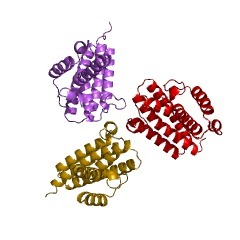 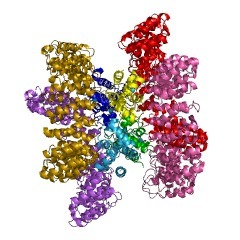 The J domain consists of four helices, the second of which has a charged surface that includes basic residues that are essential for interaction with the ATPase domain of hsp70 [(PUBMED:12454054)]. 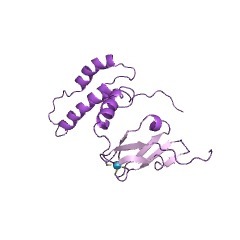 J-domains are found in many prokaryotic and eukaryotic proteins [(PUBMED:1585456)]. 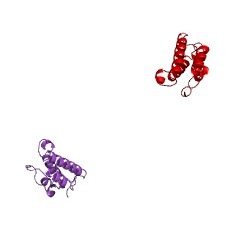 In yeast, three J-like proteins have been identified containing regions closely resembling a J-domain, but lacking the conserved HPD motif - these proteins do not appear to act as molecular chaperones [(PUBMED:15170475)]. 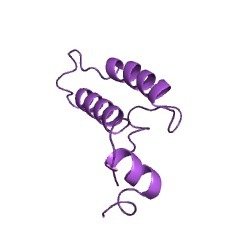 There are 142417 DnaJ domains in 142230 proteins in SMART's nrdb database. 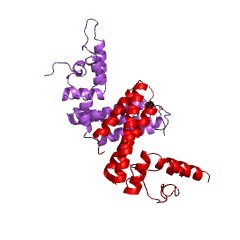 Taxonomic distribution of proteins containing DnaJ domain. 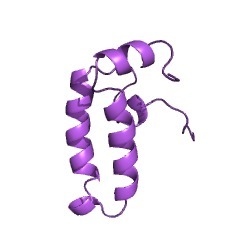 This tree includes only several representative species. 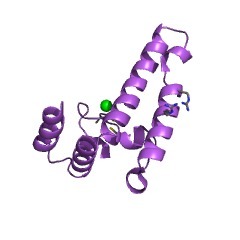 The complete taxonomic breakdown of all proteins with DnaJ domain is also avaliable. 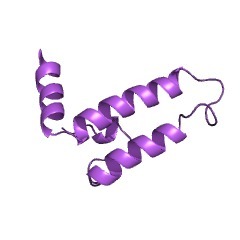 Click on the protein counts, or double click on taxonomic names to display all proteins containing DnaJ domain in the selected taxonomic class. 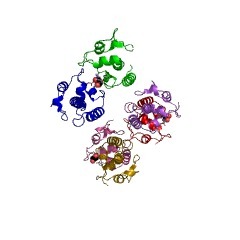 This information is based on mapping of SMART genomic protein database to KEGG orthologous groups. 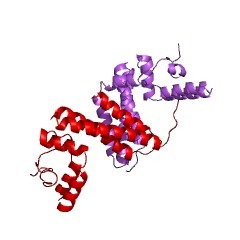 Percentage points are related to the number of proteins with DnaJ domain which could be assigned to a KEGG orthologous group, and not all proteins containing DnaJ domain. 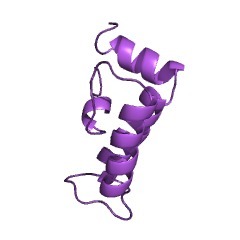 Please note that proteins can be included in multiple pathways, ie. 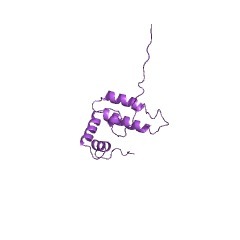 the numbers above will not always add up to 100%. 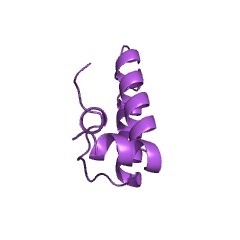 1faf NMR STRUCTURE OF THE N-TERMINAL J DOMAIN OF MURINE POLYOMAVIRUS T ANTIGENS. 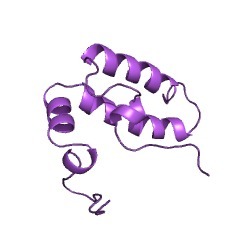 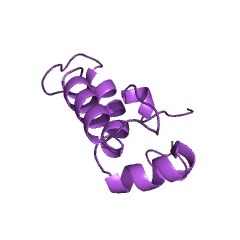 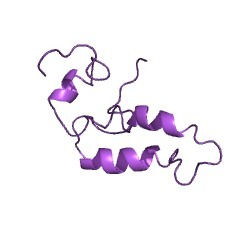 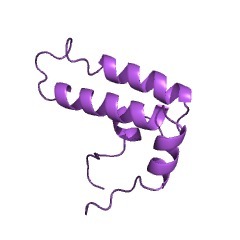 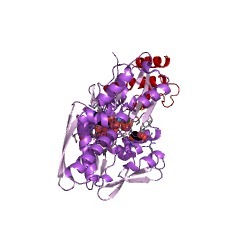 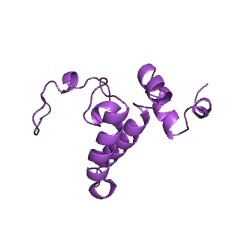 2qsa Crystal structure of J-domain of DnaJ homolog dnj-2 precursor from C.elegans. 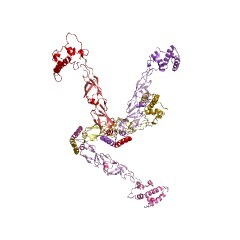 3lz8 Structure of a putative chaperone dnaj from klebsiella pneumoniae subsp. 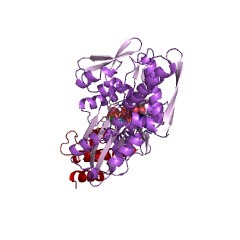 pneumoniae mgh 78578 at 2.9 a resolution.